2 weeks in Malta for some sun, relaxation and a wee bit of culture were in order. 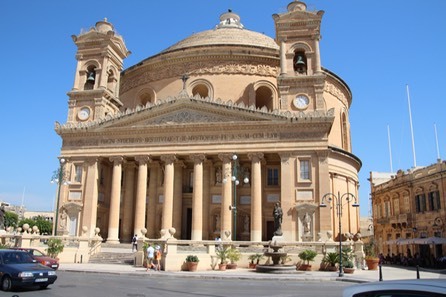 6 nights in the St Julian’s area were spent mainly on deck beds, although a bus tour around the north part of Malta gave some cultural highlights, including Mgarr and Mdina with their great churches. 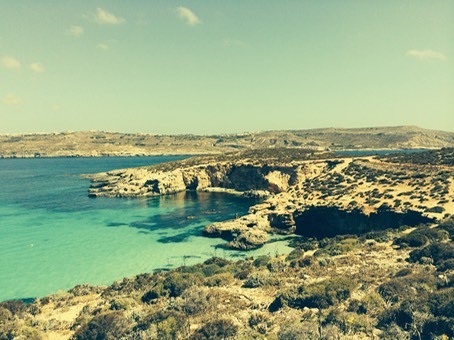 Gozo followed with 7 nights in Marsalforn on the north coast. 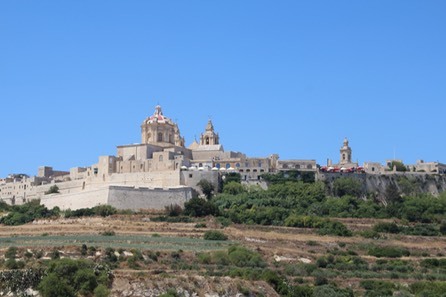 Gozo has the population of a small British town so was extremely quiet. Sea kayaking was tough in the windy conditions with quite a lot of swell and crosswind to contend with. A boat trip, for much the same reasons, tested the sea legs of everybody on board with quote a few queasy people hiding under towels. 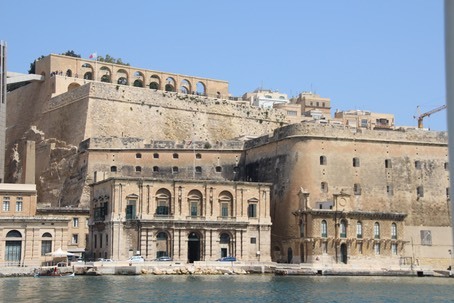 For the last night we returned to Valletta for a look at all the fortifications in Valletta and its 3 “sub-cities”. Very impressive. 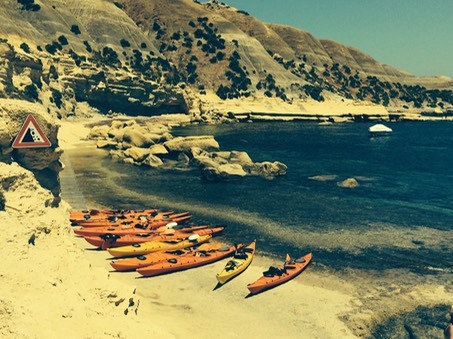 A quick landing of the kayaks around Gozo in a sheltered bay. 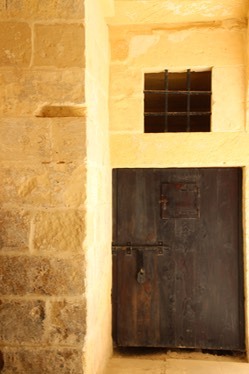 The huge fortified walls of Valletta, where the British noon-day gun is still fired. Nobody expects the Spanish Inquisition….. You can visit one of the few surviving, and certainly one of the only open to the public, inquisition jail and torture centres. Here is an actual cell!!!! !.